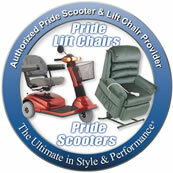 U.S. Medical Supplies is an Authorized Provider of Pride lift chairs, mobility scooters and electric power wheelchairs. We have been working closely with Pride for many years. They are an industry leader in mobility products and we are proud of our relationship with them. Our customers have been very pleased their Pride purchases which is evident in the number of calls we receive for Pride products that are word-of-mouth referalls. All Pride products ship absolutely free! 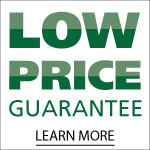 Call 1-800-790-4792 with all your Pride product questions. 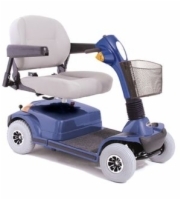 Pride Mobility Products Corporation is the world's largest maker of lift chairs and is a leader in new chair design and development, currently offering several lines of lift chairs. The new VivaLIFT! 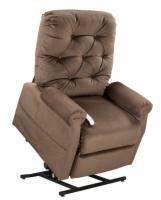 line of power recliners feature Power Lumbar, Full-Width Power Headrest, and Fashion Forward Styles. The line includes: Pride PLR925M Metro, PLR945M Perfecta, PLR965M Urbana, and the PLR975M Elegance. Check them out below. A Pride mobility scooter lets you "enjoy life with no boundaries". And whatever your need is, Pride makes a scooter that can help you. From scooters that are convenient to take on the road such as the Go-Go Traveller to scooters that are at home on trails and golf courses like the Hurricane, a Pride scooter will help to remove the boundaries in your life. 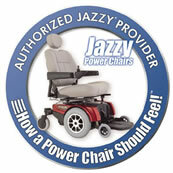 Nearly every customer has heard of Pride Mobility's Jazzy series of power chairs, including the Jazzy Select and Jazzy 600 series. This comes as no surprise, given that they produce the largest line of high quality power chairs on today's market. 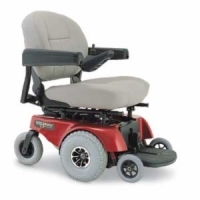 With a model designed to fit nearly every need, whether you require a compact wheel base or a heavy duty power chair, Pride's power chairs will not disappoint.